This time round we jalan jalan at an unknown territory, Kempas area around @Mart. Late in the night, hungry, but want to have good cheap good food. Turn here and there around @Mart for like 10 minutes, found a interesting shop hidden at a quiet stretch of road. 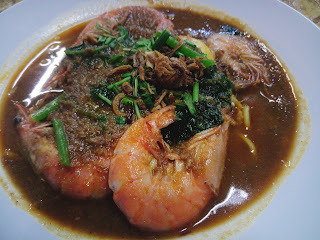 Their signage say MEE BANDUNG MUAR and without any delay I parked my car and got down. Then I rearranged it a little, Looks better right? Was pretty shocked that it actually comes with 4 prawn. 2 of them are considered BIG while 1 is medium sized and 1 is a bit smaller. 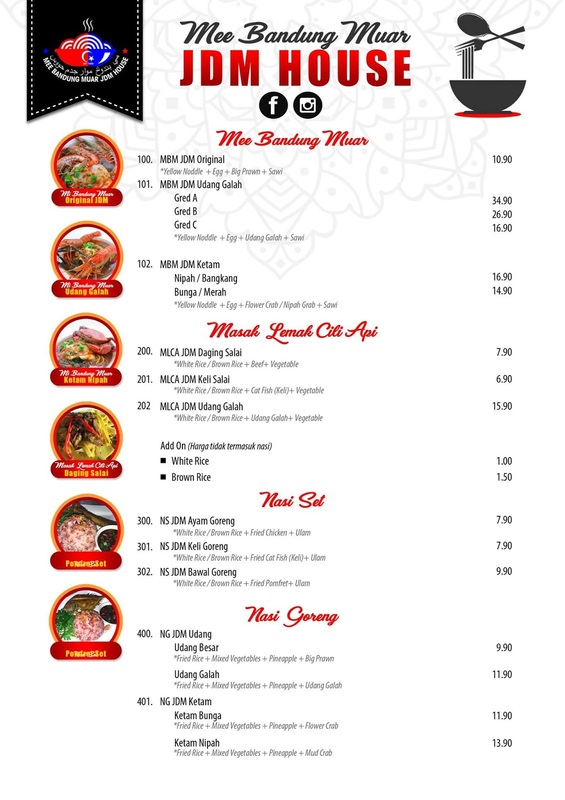 This reminds me of an experienced where I the Mee Bandung I ordered comes with tons of seafood (prawns, mussel, sotong) and it only cost RM6. 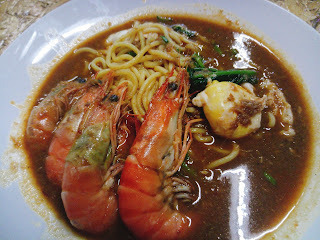 Ends up all those seafood are not fresh and the whole bowl of Mee Bandung taste very fishy. 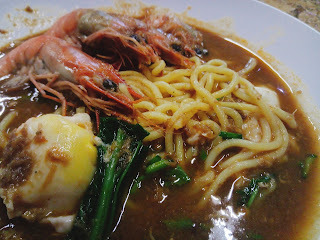 Was praying hard that I won't a plate of fishy Mee Bandung again. 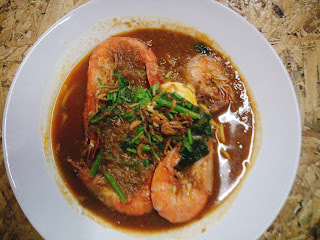 The Mee Bandung do taste nice although it's gravy is the watery kind, but the taste is there. I pretty much did enjoy this bowl of Mee Bandung, but I still prefer my usual Mee Bandung place by Taman Daya roadside where the gravy is slightly thicker. I don't see any live crab tank around. And for the price that they are selling it, RM16.90. I honestly doubt that it is fresh/live crab. 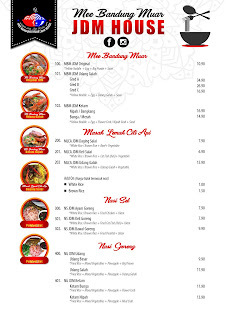 They have rice menu too, I stole their menu photo from their FB. 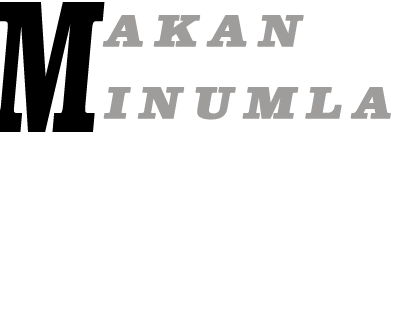 Address : No, 7,Jalan Cengkerik 6, Pusat Perdagangan Kempas, 81200 Johor Bahru,Johor..